I sometimes forget why I started taking pictures of squirrels. 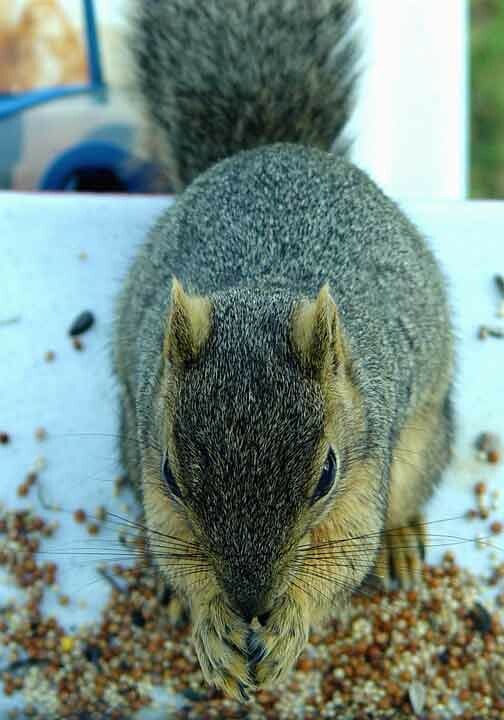 I wonder how many of my current readers remember the old squirrel cam from so many years ago. When I had only one camera and it was aimed out the window on the south side of the old Permafrost Ranch. There has been a few changes and a lot of water under that bridge since then. This morning while sitting here thinking back and trying to decide what to put on the blog, led me back to the beginning. Here is todays posting in honor of the beginning. The fox squirrel is a beautiful squirrel. Nonetheless, I still miss my little red squirrels of Alaska. My first squirrel as a child was a Alaskan Red Squirrel. Here is to the Squirrels, the real reason for this blog. I came late to the party at the Permafrost Ranch, but I recall the reds. I’m sure they’re bickering and tearing up and down the neighborhood as I write. Happy, happy New Year, Bob. And pass on my wishes to Debbie and Chunky as well. May you have good adventures.